All previous games you were unstoppable and nobody could hurt you. This time you can customize the level and create your own rules and fill it with enemies. See how Wolverine will deal with it! Do you lack of adventures? Seems like Wolverine deal with his enemies with ease and nothing can probably stop him. However, the rules of the game are about to change and you are the God here. 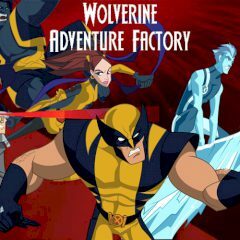 Create your own level and fill it with traps, lasers, obstacles and various enemies that will attack Wolverine. Can he survive this nightmare?